Our Time Press: All four of the candidates in the primary for AG have strong progressive credentials. What evidence can you cite showing that you’ll be more effective than your opponents? 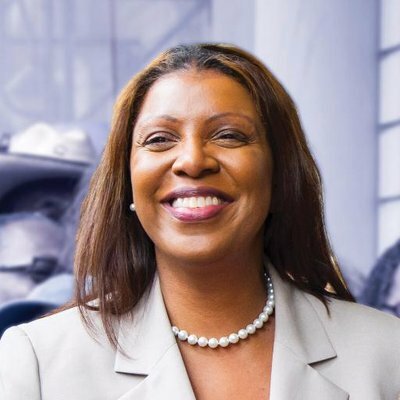 Letitia James: I have 20 years experience representing the interests of vulnerable, marginalized communities as a former public defender representing individuals in the criminal justice system who were at their lowest and needed a champion. Serving as an assistant attorney general initiating litigation against a mortgage company that defrauded Brooklyn homeowners, part of an investigation into the “stop-and-frisk” abuses of the NYPD, represented individuals in consumer fraud cases here in the Borough of Brooklyn. And then, as a City Council member, I championed and joined with community groups as we challenged special interests in Brooklyn, stood up on behalf of tenants, uncovered one of the biggest scandals in the City of New York, known as CityTime, recovering over $500 million for taxpayers. And then as the Public Advocate for the City of New York, passing more legislation than all previous Public Advocates combined, including groundbreaking legislation to ban salary history. Because I believe that equal pay for equal work should be more than just a slogan. I’ve held landlords accountable as part of the “Worst Landlords” list. And working with former District Attorney Ken Thompson, had some arrested. Have challenged the NRA and have put pressure upon the banks that finance the NRA and have notified the SEC with regard to investors who invest in these banks that these products of death are causing destruction and carnage in communities of color. Led the way as a trustee on the Pension Board for the City of New York to divest from gun retailers and fossil fuels and hedge funds that invest in underutilized property with the purpose of evicting and harassing tenants. And lastly, as Public Advocate for the City of New York, have filed more litigation against the mayor, the City of New York, this governor, than previous Public Advocates. Legislation to protect disabled children, parents at school leadership meetings, tenants and senior citizens. And so, given all of that body of work and that experience and that legal knowledge, given the challenges that we face against the federal administration, we need a champion. Right after the Muslim ban, we filed amicus briefs against the federal government. We filed amicus briefs in opposition to the detention and possible deportation of an activist. We stood up on behalf of the LGBTQ community when this administration wanted to ban them from the military. And I’ve represented a child who came to this country seeking asylum from Honduras whose parents–one was murdered and the other had abandoned him. He could not return to his country. He sought asylum in this country and I represented him pro bono. That application was granted and he now is a proud graduate of a Brooklyn high school. Our Time Press: Explain the loophole allowing the presidential pardon to cover state crimes absent new legislation. Is it possible to work around presidential pardons in NYS? LJ: In the event that President Trump pardons Manafort, who as you know has been convicted for federal crimes. Primarily evading taxes and bank fraud. If the President of the United States were to pardon him, we could still convict him and he would not be pardoned for state crimes. So, it’s critically important that we pass legislation to close this pardon loophole so that the attorney general can pursue charges against Manafort and others for the violations of state crimes here in New York State. I’ve already begun discussions with members of the state legislature to move that bill forward and I’ve called for a special session for that purpose. OTP: As Public Advocate, you’ve tested the envelope of your powers using the courts. On education, there is a wide disparity between money spent on education in rich vs. poor neighborhoods. Is there anything the AG office can do in that area? LJ: It’s important that individuals understand the role of the attorney general. There is an advocacy role in the Office of Attorney General and we will use our activism and the ability to introduce program bills to the state legislature to address the disparities that exist in terms of public education all around the State of New York. As someone who has worked in the state legislature as an attorney who recognizes the funding streams and the budget process and the legislative role of the Office of Attorney General, we will use that bully pulpit to address the wide disparities that currently exist. OTP: Along that same line, the W/MBE expenditures in NYC are very transparent, and we see that about 90% of dollars go to Asians and women and the balance to Latinos and African-Americans. The state, despite its aggressive goals, does not break down how those goals are reached. Is there a role for the AG to play in increasing transparency at the state level? LJ: Yes. In the Attorney General’s Office, there is the ability to introduce legislation and work with members of the state legislature. One of the things I would like to focus on is all of the public authorities in the State of New York and making sure those authorities which house economic development money, that they be more transparent and accountable. And that we have a spotlight or some sunshine on how much state resources are being awarded and spent on minority and women-owned businesses in the State of New York. OTP: Governor Cuomo formed and then abruptly disbanded the Moreland Commission because, as reported in the NY Times, because it was looking at things with ties to the governor. President Trump wishes he could do the same with the Special Counsel. Given your support from the governor as well as a lot of Democratic leaders across the state, how would you approach corruption in the legislature. Would you recuse yourself, how would that work? LJ: Obviously, corruption continues to be a problem, not only in Washington but also in Albany. It’s a sad commentary when 30 elected officials, state elected officials, have been convicted over the past decade. What we need to do is root out corruption and restore public confidence in integrity and public confidence in government, period. 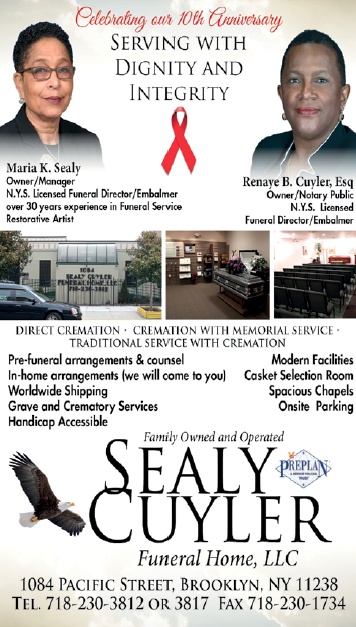 Be it in Washington, Albany or City Hall. So, it’s important that the attorney general be an independent check on state government and that we leverage the powers both civilly and criminally to root out corruption wherever we find it. So, wherever the facts and evidence lead me, we will not hesitate, working with the comptroller’s office, working with district attorneys, to prosecute either civilly and/or criminally individuals who betray the public trust. And that is critically important to me, because I entered public service years ago because I thought it was an honorable profession and because it’s transformed my life. And I have an obligation and duty to transform the lives of others and that’s why I’ve committed myself to public service in the government. And will also urge the state legislature to give me original jurisdiction over corruption in the State of New York. OTP: What does “Original Jurisdiction” mean? LJ: As opposed to asking the Governor of the State of New York to refer and to allow me to initiate another Moreland Commission if you will, I would like to do it independent of the governor. It’s an inherent conflict of interest for the governor to have the ability to refer investigations to the Office of the Attorney General. The attorney general should be able to do it on their own. They should have the ability to convene a commission on their own without seeking referral from the Governor of the State of New York as was done with the Moreland Commission. OTP: So, the attorney general would actually convene the commission. LJ: Yes, the attorney general, assuming the legislature gives me that power; the attorney general would have original jurisdiction, as opposed to the governor. OTP: I had not heard that before, thank you. OTP: As you go around the state, what do you see as the greatest challenges, should you assume the office? LJ: Right now, everyone is focused on the president. And we will continue the investigations now under the leadership of Barbara Underwood, the current attorney general. We will continue to investigate his business transactions and holdings. We will also focus on corruption wherever we find it, whether on the federal, state or local level. I’ve been to Buffalo, where we’ve got lead poisoning and high asthma rates, as we do here in Brooklyn. I’ve been to Newburgh, where individuals are dealing with water and soil that need remediation. And the federal EPA is unfortunately closed for business. They are not enforcing the Clean Air Act or the Clean Water Act so we can protect our environment. In Long Island, where they are dumping. There’s Dix Hills. So, there are environmental justice issues. I’ve been to Albany where 8 young Black men have been murdered. So, we need to again take on the NRA, which holds itself out as a charitable organization. But, in fact, they are not. They are nothing more than a criminal enterprise. We are waiting to take on all of the banks that finance them, their investors. Consumer fraud is a major issue all over the State of New York. We have to stand up for immigrants who are afraid of ICE. Who are afraid of going into courthouses because they are afraid of being detained by ICE. Immigrants who are seeking justice and cooperating with the district attorney’s office and/or seeking “orders of protection.” We need to stand up for reproductive rights and women’s rights. Women who are paid less than men for doing the same job. Women who are discriminated against simply because they want to have children. We need to defend “Net neutrality” for many tech companies that exist in Brooklyn and all the start-up companies and freelancers. We need to make sure we codify Roe v. Wade, and last but not least, foreclosures and zombie houses. We need to go after the banks who charge outrageous interest rates and who saddle homeowners and young people with debt at a time when wages are stagnant and individuals are having a hard time making ends meet. OTP: That’s it for me. Anything you’d like to add? LJ: Only that I look forward to serving as the next attorney general and continue to make history; we’ve done it before and we’ll do it again and what moves me each and every day is my commitment to justice. And what we need now, more than ever, is someone who understands that. Thank you for the interview.